It seems during every class I teach, or group I talk with, there are two things I say every time: 1) Read your pesticide labels, and 2) test your soil. It is what I call my "Extension Mantra." The reason I routinely tell folks to read labels and test soil is not that I get a kick-back from pesticide companies and soil labs, it is because these two simple tasks could save Illinois homeowners money. It is a routine for me to read pesticide labels front to back, sometimes multiple times, to make sure I'm applying the product correctly and not doing any unnecessary damage to my family, neighbors, plants, and environment. However, outside of work, I've never tested my soil. I decided to put my words into action and conduct a soil test. What I discovered, was like many of us in Central Illinois, I have a very productive soil with an ideal amount of organic matter. I also found I can scale back, (actually completely stop) applying phosphorous (P) and potassium (K) to my lawn as these nutrients were found to be high (K) and excessive (P). The soil test, which was only $15, is already paying for itself. 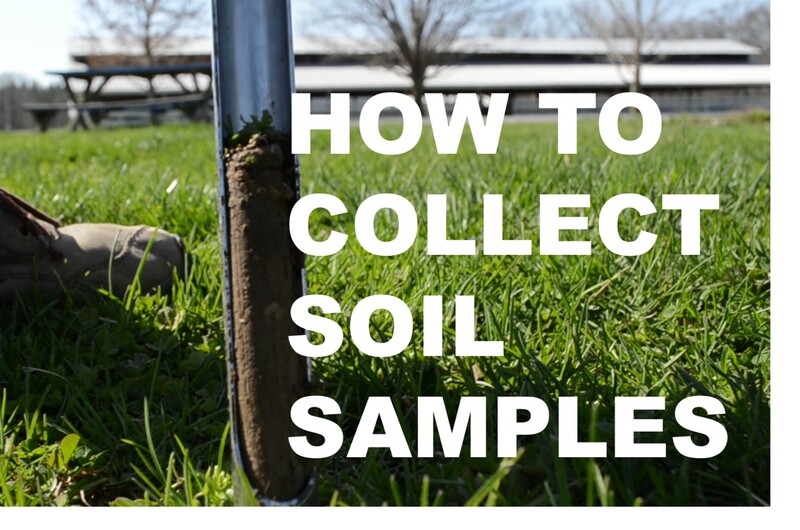 What are the best practices for collecting soil samples in your garden or landscape? Following are some tips for gathering a soil sample to send to a lab. Contact your nearest soil lab and ask them some questions. 1) How much is a soil test? 2) Do they have any special procedures for you to follow when collecting and sending a sample? 3) Do they test for soil contaminates? A note on soil contaminates – If you live in an urban or developed area (especially before the mid-1970s), it is recommended you test for soil contaminants like lead. Ask the soil lab if they offer heavy metal contaminate testing. Contaminate testing is entirely optional, as it does add considerably to the cost of the test, but may be worth it to keep you from unnecessary exposure to these heavy metals. The sampled area should be uniform. As an example don't mix a lawn soil with vegetable garden soil because those soil are often managed differently. You can also separate a problem area in your landscape where plants are not growing as successfully as similar ones in other parts of your yard. Send in soil samples of the problem area and healthy area, then compare the results to see if it is soil-related. The sample depth should be uniform as well. If you take one subsample at a six-inch depth, make that the target depth for the other subsamples. Sampling depth for lawns should be 4- to 6-inches and for 6- to 10-inches for tilled garden beds. Ten subsamples are adequate for home lawns and gardens up to 10,000 square feet. General sampling is often the recommended technique to collect your subsamples. General sampling is walking in a zig-zag pattern over the area and randomly gathering subsamples. The right tools help. The best tool for the job is a soil probe. Simply insert the probe into the soil to the desired depth and pull up which removes a core of soil. Place that subsample in a clean bucket. Don't have a soil probe? A garden trowel or shovel will also do the trick. Cut out a triangular wedge of soil and set it aside. From the opening go back about ½-inch and slide off a side of the hole you made. With a knife trim the slice to a 1-inch strip (mimicking the soil core you get from a soil probe), and remove any mulch or vegetation from the top. Getting your actual sample you send to the soil lab. Mix your subsamples and place about one to two cups of the mixture into a plastic bag or a bag provided by the soil lab. Make sure to label your sample with your name, date, and where the sample was taken (i.e., "Lawn" or "Vegetable Garden").